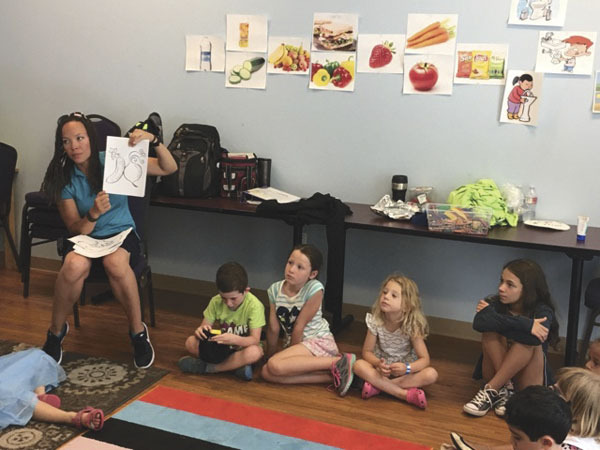 Hillel students to open camp for kids of cancer patients – J. When she first heard about a camp for children whose parents have cancer, Robin Adler-Goldsmith rejected the concept. As a widow battling metastatic breast cancer, she could not imagine sending her 6- and 8-year-old sons to overnight camp. Then the 43-year-old Piedmont mother envisioned her boys swimming and singing and getting dirty for a week while playing with other children who also struggle with their parents' fragility — their chemotherapy and radiation regimes, and their mortality. So she asked Zev and Micah if they wanted to go to Camp Kesem. "I'm hoping my kids can have a regular camp experience with a dose of extra understanding that they've been through a lot," Adler-Goldsmith says. "I'm glad that someone is considering the needs of these kids so they can be kids and at the same time have that shared life experience. "I'm grateful to whoever thought of this." Kesem — which means "magic" in Hebrew — is the brainchild of four Stanford University undergraduates. Working with the Hillel Foundation at Stanford's social-justice program last year, when they were freshmen, the students planned a camp for kids with cancer. But the Bay Area already has such a camp. So the students talked to local doctors and camp directors, and they learned of a crying need for a camp for children whose parents are living with cancer or have died from it. "Kids with parents who are cancer patients have their lives turned upside down," says Dr. Michael Amylon, a pediatric oncologist and member of the camp advisory committee. "Camp Kesem will provide the children with a safe place to be kids again and have fun, a network of other kids in the same boat with whom to share thoughts and feelings, and a community of adults to provide needed attention to boost their self-esteem." After more than a year of planning, Camp Kesem will welcome its first 40 campers for a week starting June 17 in the Valley of the Moon Camp in Glen Ellen, near Sonoma. Next year, camp organizers hope to host 80 children. In addition to having a parent who is living with or has died from cancer, campers must be between the ages of 6 and 12 and live in the Greater Bay Area. Applications still are being accepted for this summer's session. Although the organizer of the camp is the Hillel Foundation at Stanford, which offers Jewish activities and services to students, Camp Kesem will be secular. In fact, campers need not be Jewish. Brian Elliot, one of the four Hillel students orchestrating the camp, says some have questioned why a Jewish social-justice program is launching a program for children of all faiths. "How is this fulfilling Hillel's mission?" Elliot has been asked repeatedly. His answer: "It's a Jewish value to do acts of tzedakah, not just for Jews but for everyone. It's very directly addressing one of the central themes of Judaism." Camp is free. The 24 counselors, Stanford students who will undergo three Saturdays of training, will volunteer their time and services. Still, Elliot says his group must raise $75,000 for startup costs and the first year's one-week program. With a $30,000 challenge grant from the Walter and Elise Haas Fund and a $5,000 grant from the American Cancer Society plus smaller private donations, he estimates Camp Kesem is halfway toward its financial goal. The Hillel student project is co-sponsored by the Community Breast Health Project, Kara, The Centre for Living with Dying, Center for Healing and Wellness, and El Camino Hospital. The goal for campers is to bask in the regular fun activities — from toasting marshmallows around a campfire to kvetching about the camp food and rising to the challenge of climbing a ropes course — while building friendships and gaining strength from kids who face similar challenges. As both a mother with cancer, a widow and a daughter, Adler-Goldsmith sees the value in the camp's mission. Like her sons' father, her own father died of a heart attack when she was a child. And her mother was diagnosed with breast cancer when Adler-Goldsmith was a child. "Knowing how I was personally affected by my mother's illness and death, and I also lost my father of a heart attack suddenly when I was 16, I understand the fear my kids have," she says. "That's why I like the camp idea. A lot of kids don't have this life experience. Hopefully not."